Here at MashButtons, we take pride in admitting to our guilty pleasure that is dressing up and personalizing that which is near and dear to us, our iPhones. This time around we have received the rPET from Case-Mate and the Q Card Case from CM4. One is a barely there, molded from 100% rPET, and totes the One Bottle, One Case tagline. The other being the Q Card Case, which has a fabric slot that holds 3 cards plus cash snugly, lay-flat screen guard, and a soft-touch finish. Now that the contenders have been identified, lets see how each hold up in the pocket. 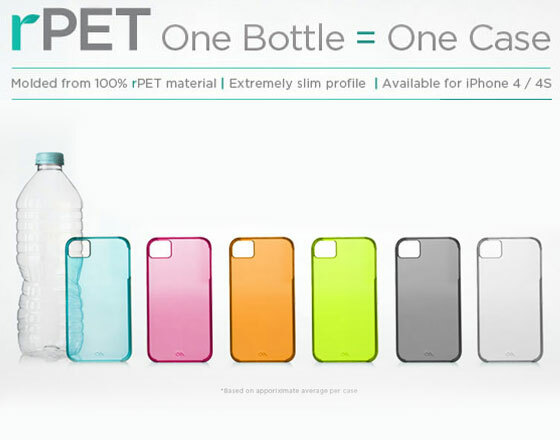 I will start with the flashier of the two; the Case-Mate rPET 100% percent recycled case. 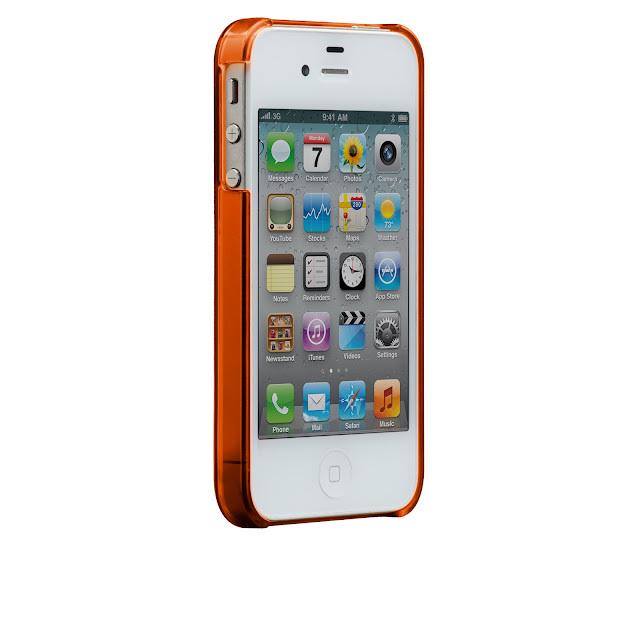 Mine came in the color Tangerine Tango Orange, sports the barely there profile, and catches the eye with its clear and glossy finish. I like this case for a number of reasons; I mean who can speak poorly of a product made up of water bottles that take up large amount of space in our landfills? I loved the low profile and how close the SF Giants orange the color resembled but I also had two slight issues with it as well. The first would be with the fit as the top left corner, when looking at the screen, does not fit the case snugly to the phone and causes the phone to rattle some in the case. The other issue is the price, though I like the case and plan on getting the Lime Green one as well, it is hard to spend 30 dollars on a case made out of recycled materials but it is still a good cause and though I am not the most green of people I still try to recycle as much as I can. 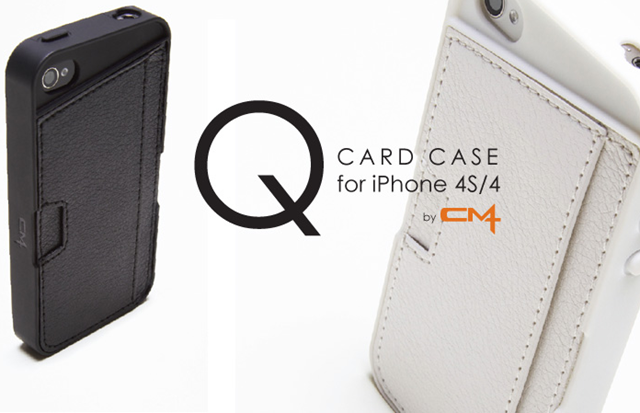 The other case, CM4’s Q Card Case is one of multiple purposes. 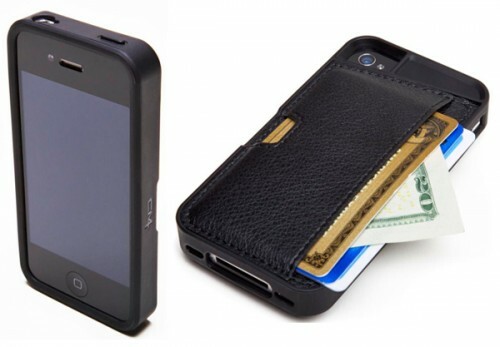 The first, to protect your phone of course, and the other is to take the place of your wallet. Like I say, I am a minimalist when I can be so this is a big plus for me as I am able to carry my ID, credit card, and bank card without having to tote a bulky wallet around. I do like the combination of materials in the case as the soft feel does not pull everything in your pocket out when you grab your phone and the card pocket has a leather feel making it not feel like another cheap case. The downside has nothing to do with the price as it is comparable other cases out there, but has to do with cargo space. You have to choose your selection of cards wisely as any more than three starts to pull the case off the phone, and with only or two cards in the slot, they will not fit snugly in the slot. Out of the two cases, I preferred the Q Card Case to the rPET case. This was my preference mainly because it served a second purpose and eliminated the need to carry a wallet. That is not to say that I wont use any other cases, the rPET in particular, because there are times where I need my wallet and though I do have to act like a grown up most of the time, My iPhone cases are a small and subtle way to show my personality in the more professional work environment, while helping save the environment with a 100% recycled case.